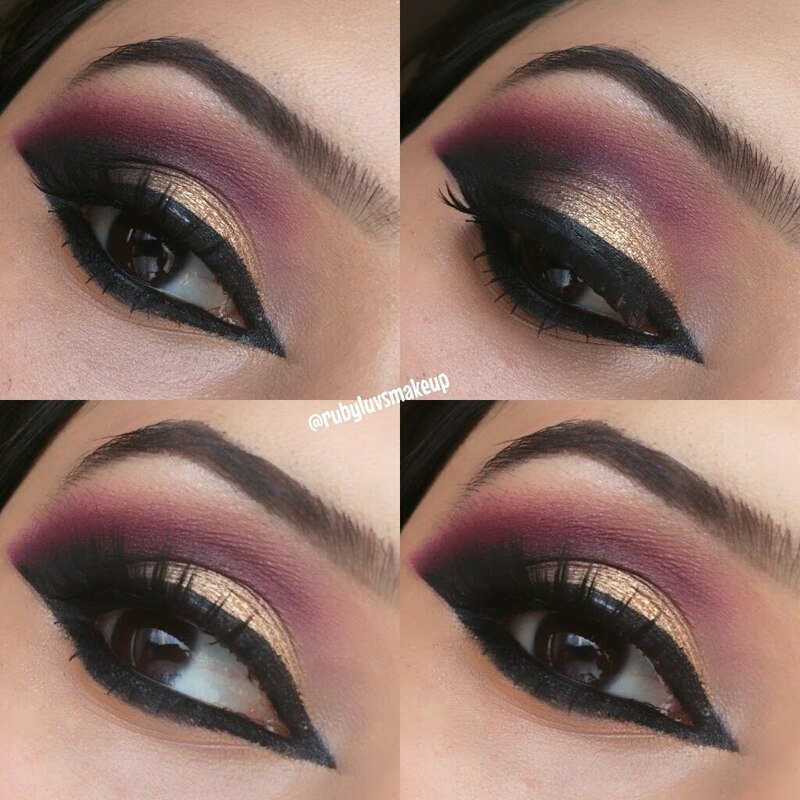 Gorgeous eye makeup tips and hacks to play with this Diwali! 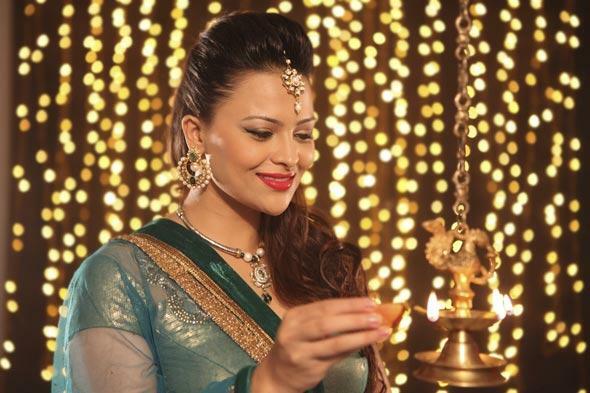 Planning to look like a princess this Diwali, well here’s your chance. We have under our sleeves plenty of tips and hacks to play with, which will bring on the ultimate eye makeup looks for you. And these are looks that you can flaunt, just as the B-Town divas do. So take a look at each of them and practice from now, which will help you master them all by the time Diwali comes along. Have fun! When applying highlighter on the eyelids, you need to understand the rule of the shades- dark outside and light inside. This means, the inner portion of the lids to the mid section and the area under the arch of the brow bone should have a touch of the highlighting pigment. The rest of the lids should have it dark, and notice the gradient- very important, or else the blending wouldn’t happen. Dark line the tear lines first and then the lids on top and below, which would help make the eyes look large. 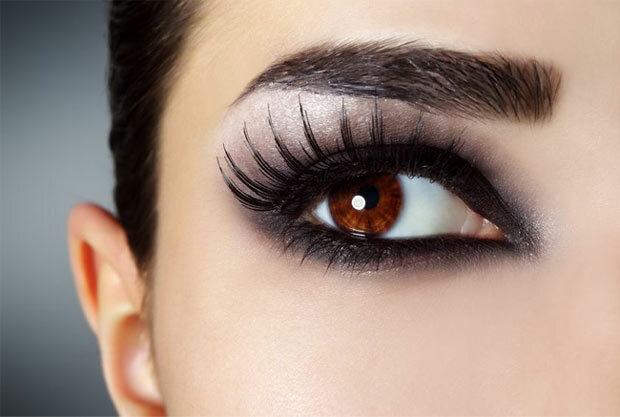 Always use a soft eye pencil in black to do the needful, and then with an angular brush, go ahead and smudge the same around the area for a smokey look on the eyes to come through. 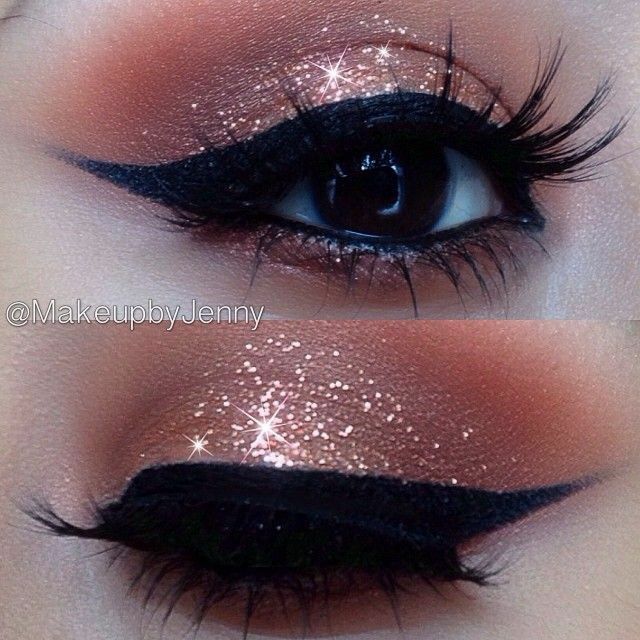 To further make small eyes pop out, a hint of shimmer can be used. When curating the smokey eyed look with any shades you choose, always remember to define the crease line with a soft dark pencil. This is important to do so that a demarcating effect is brought about, which can define the eyes and the whole look that you want to flaunt. When playing with gold for the eyelids, don’t make the mistake of bathing the whole lid with the metallic hue, which would make the eyes look sallow and dull after a while. What you need to do is to highlight only the mid section of the lids for a diva-ish desi touch to come through. 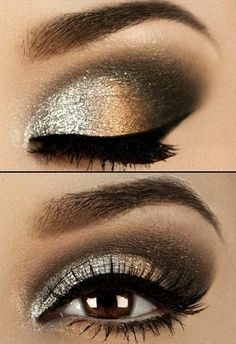 Play with a darker shade on the whole lid using any other color, and on the eyeball section, with your finger dab a little of the gold shimmer and then blend in. You may choose to wear individual strands of lashes or the whole set at once, whatever be your choice, check and then wear them. Clip the ends of the inner corner a little and the outer corner too, before you use surgical glue to stick the lashes. 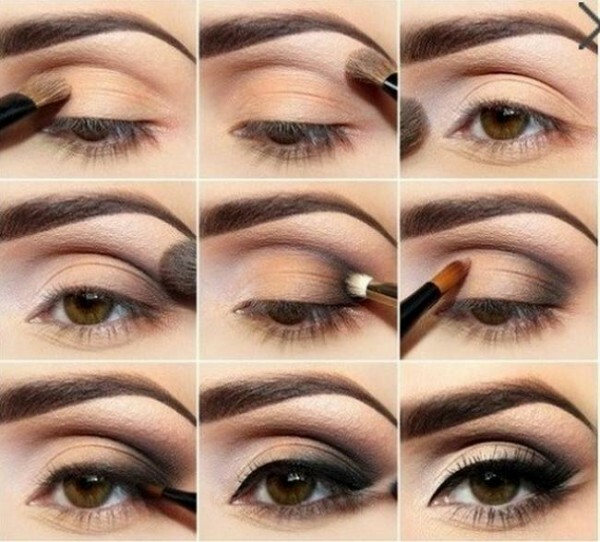 But first draw a line with the kohl pencil on the lid and then apply the lashes. Mascara should be applied on natural lashes and not the false ones. 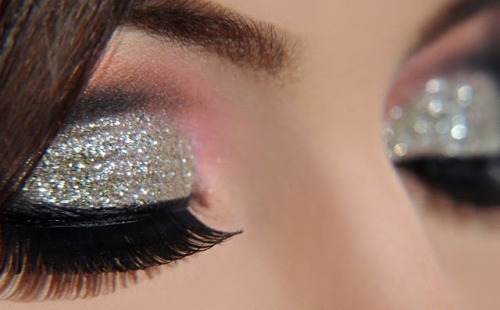 For a hint of glittery starry eyes to flaunt at Diwali this time, you needn’t have to wear too much eye makeup. 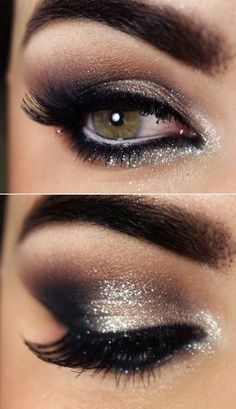 An eyewash with a neutral toned brown matte shade would be needed first, over which, the brow area can be highlighted and then a dab with the finger using silver glitter just once can be worn. If you wish to have longer lashes and don’t wish to use false lashes, let’s use cotton to get them manifested. Round up your spoolie in a cotton ball and then dip it into the mascara tube. Now apply the mascara on the lashes- three strokes on top and two below, which makes the fibers of the cotton create long lashes in a jiffy! Do you have your own tips and tricks on eye makeup to share, which our readers can use this Diwali? Do write in!